Credit: Courtesy of Ryan Gold. Indianapolis, IN, USA: In 1811 and 1812, the region around New Madrid, Missouri, experienced a number of major earthquakes. The final and largest earthquake in this sequence occurred on the Reelfoot fault, and temporarily changed the course of the Mississippi River. These earthquakes are estimated to be just shy of magnitude 8.0 and devastated towns along the Mississippi River–soil liquefied, houses collapsed, and chimneys toppled. "If earthquakes happen on the Reelfoot fault every 500 years, and have been doing so for hundreds of thousands of years, we would expect to see a mountain range there — but we don't," says Gold. Instead, he suggests the modest fault scarp associated with the Reelfoot fault indicate that the earthquakes haven't been sustained over a long period of time. To test this, USGS researchers wanted to look beyond the last few thousand years. Preserving long-records of past earthquakes can be a challenge for the Reelfoot fault because natural processes like rain and occasional floods on the Mississippi River can conspire to erase the record of past earthquakes. "That's coupled with anthropogenic effects — lots of farming, forestry, [and] construction," says Gold. 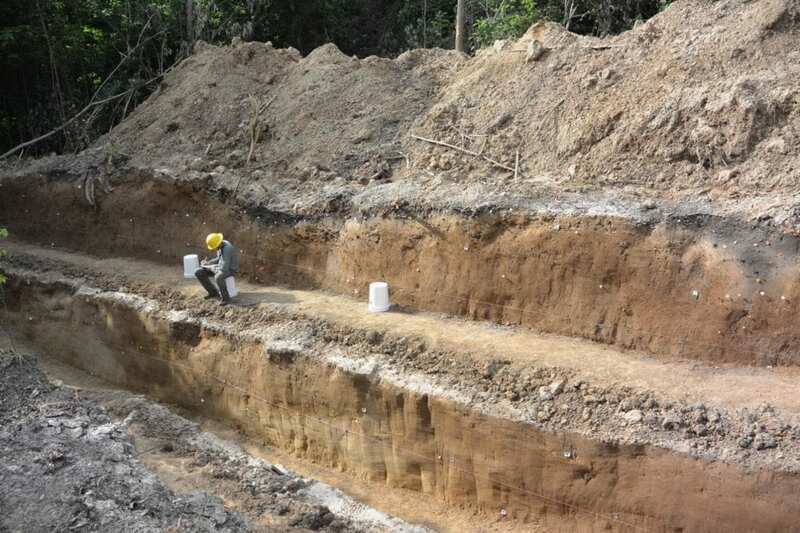 The USGS excavated a trench across one of the sackung that had formed in Peoria loess — silt that was blown in during the last glacial period until as recently as around 11,000 years ago. Gold explained how the team hypothesized that a sackung crack forms during an earthquake, the middle of the crack falls downward, and sediment washes in from the shoulders — thus recording the timing of the earthquake. The USGS team hopes their new results on New Madrid ruptures can provide insights to those who model risk and seismic hazard in the region. Gold says that refining and updating seismic hazards with more information on how a fault might rupture can help with building codes — designing buildings just right to keep us safe, but not over-designed, which can waste resources.